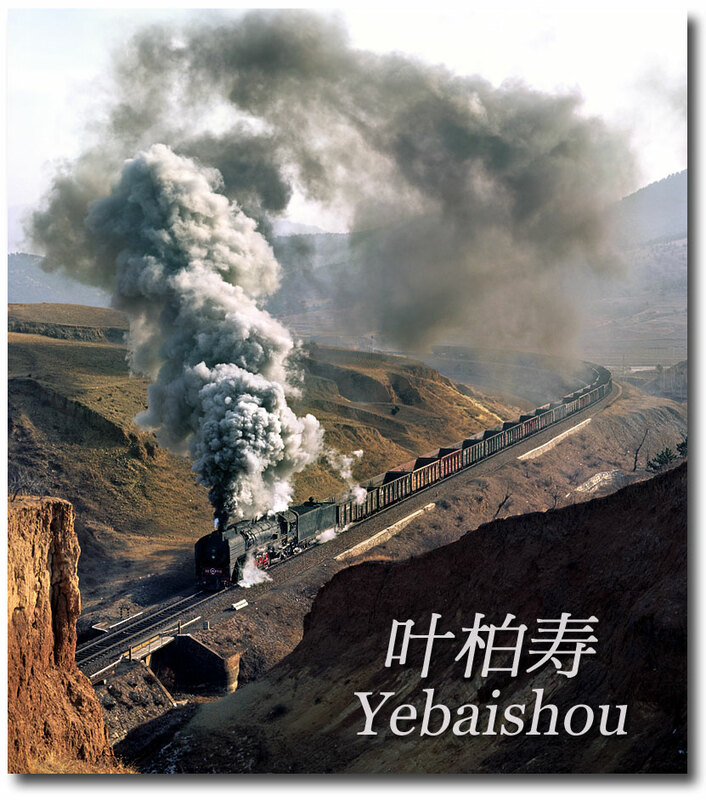 Yebaishou with three lines climbing out of a valley towards the North, South and East became popular among enthusiast when steam in Northern China went to its final phase. 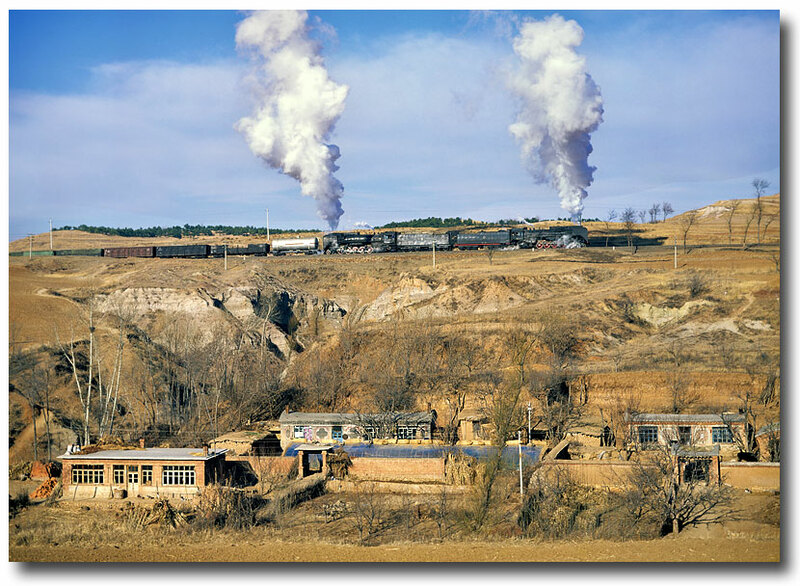 In the typical loess landscape of northern china, a QJ with an empty coal working to the Pingzhuang mines was just approaching the tunnel above Shinao. December, 1996. 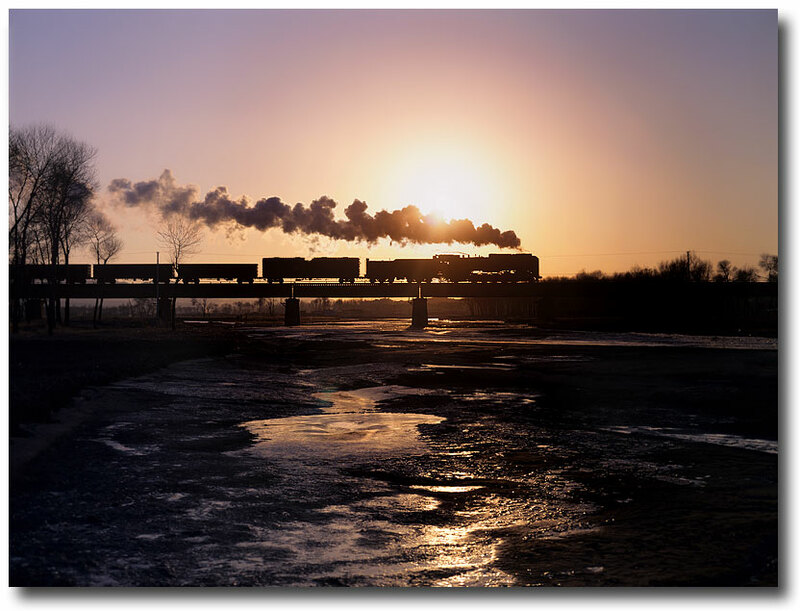 Freight workings outnumbered passengers by far on the Chinese railway system. A pair of QJ with a heavy northbound to Chifeng had almost mastered its ascent out of the Yebaishou basin when passing this level crossing between Shinao and Shahai. December, 1996. 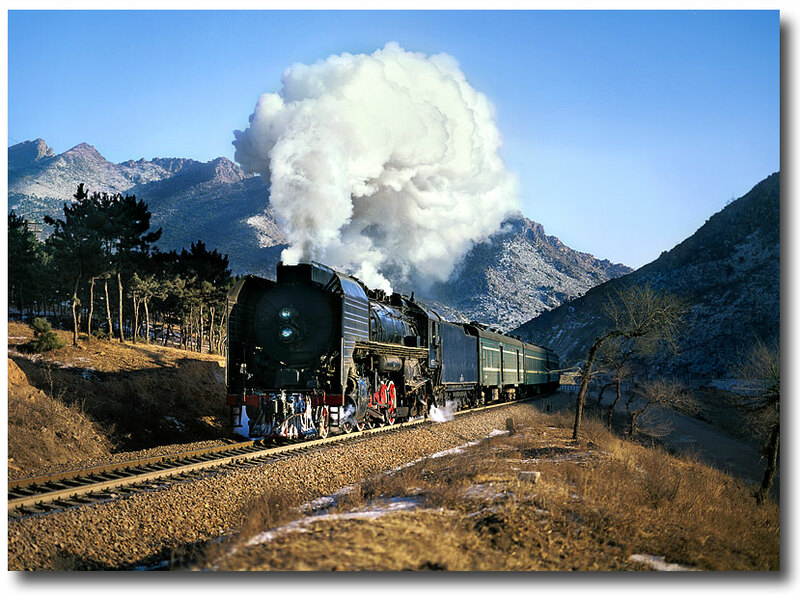 The line east towards Beipiaonan, Fuxin and Shenyang left the Yebaishou basin with a long uphill grade as well. 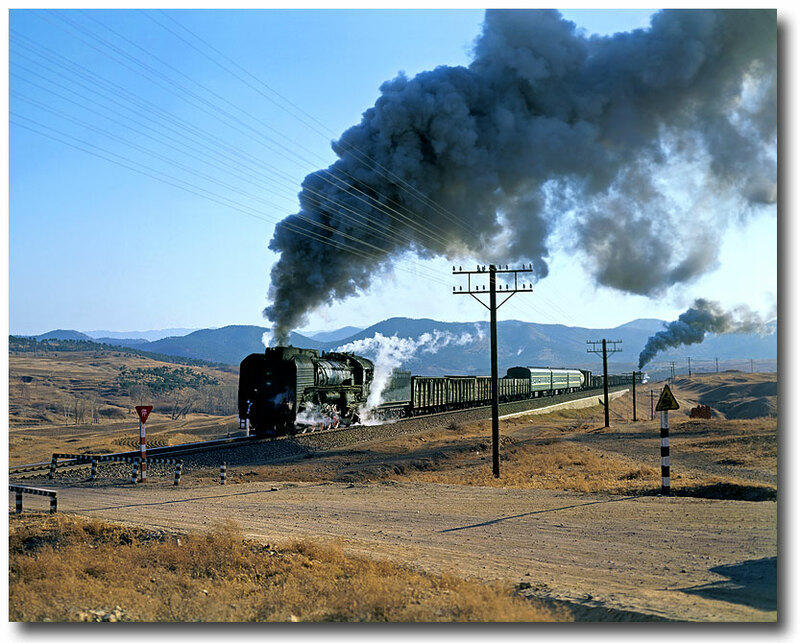 As you can tell from the vertical smoke, the two QJ's were negotiating the grade with little more than walking pace. Near Bolouchi, December 1996. 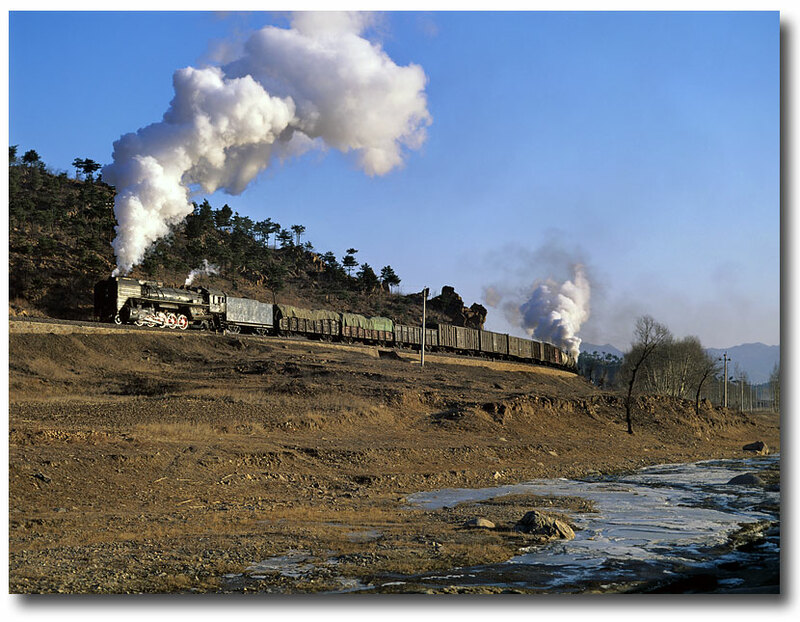 At the entrance of the gorge below Shinao, a freight with two QJ headed northbound in late afternoon..